Where am I? Home News	HP Designjet - Dealer of the year 2012! 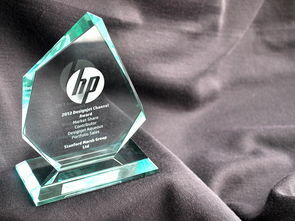 We are delighted to have been awarded HP's prestigious "Market Share Contribution 2012" Award - Simply put we shipped more HP Designjets than any other Vendor in 2012. Receiving the Award at the HP Designjet Channel Event hosted by HP at the Hotel Du Vin Birmingham on Friday 23rd Nov 2011, Matthew Perkins (Stanford Marsh Group Director) commented "we are delighted to have been presented for the fourth year running, an HP Channel Award in our specialised wide-format area. It is testament as to how hard all of our staff work from Logistics & Technical Staff right through to the Sales teams. Our relationship with HP is second to none and we enjoy a working relationship with HP that allows us to deliver the best value to our clients regardless of their needs"